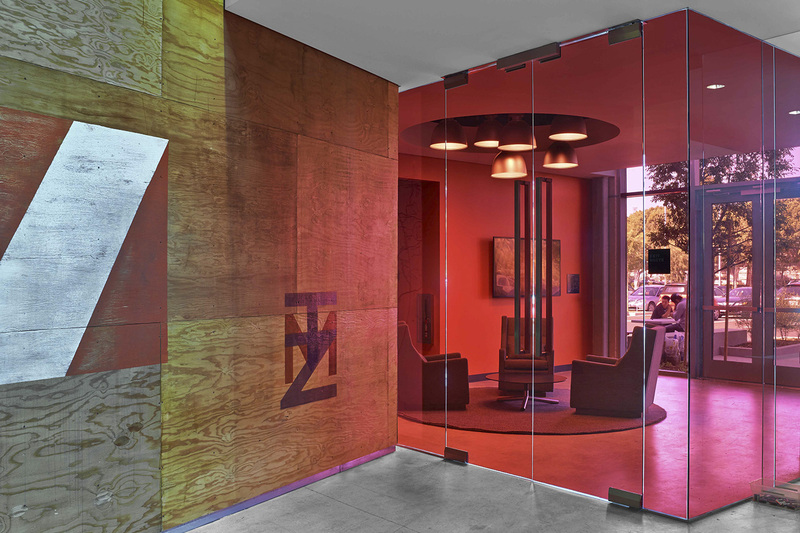 In 2013, Rapt Studio designed a new headquarters for TMZ, a popular gossip website that covers the most interesting celebrity news. 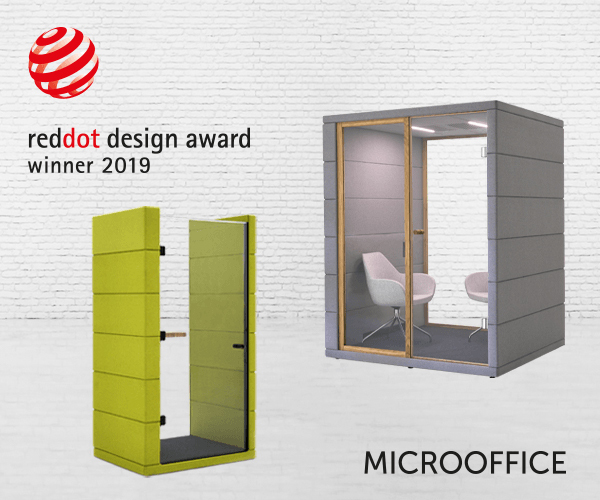 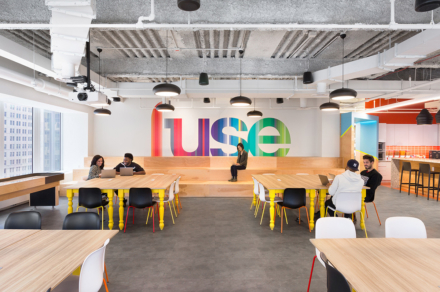 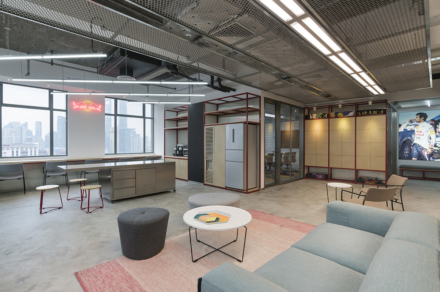 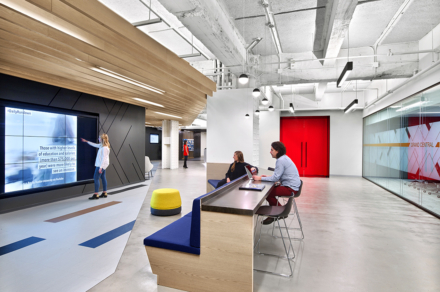 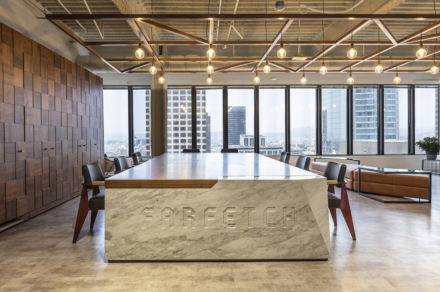 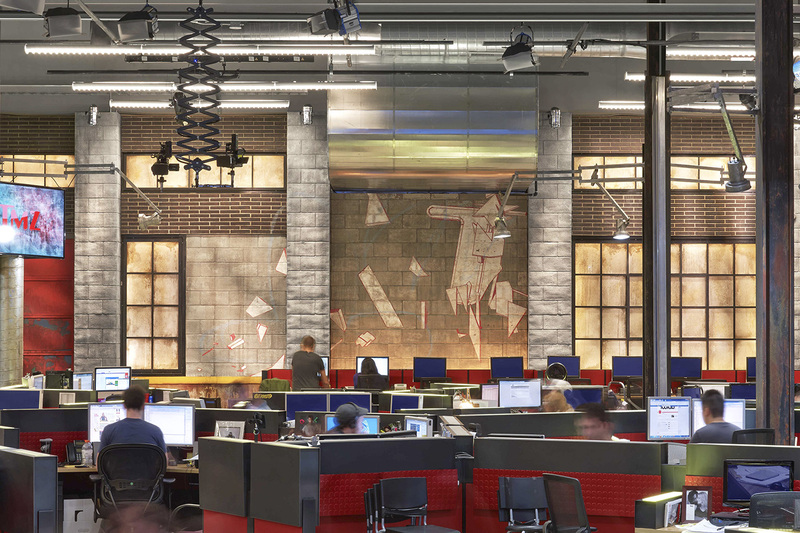 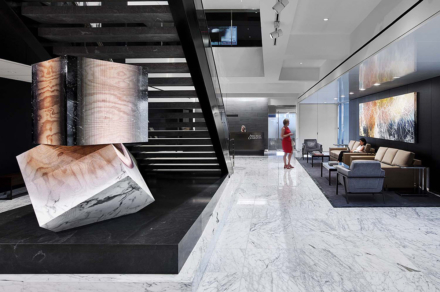 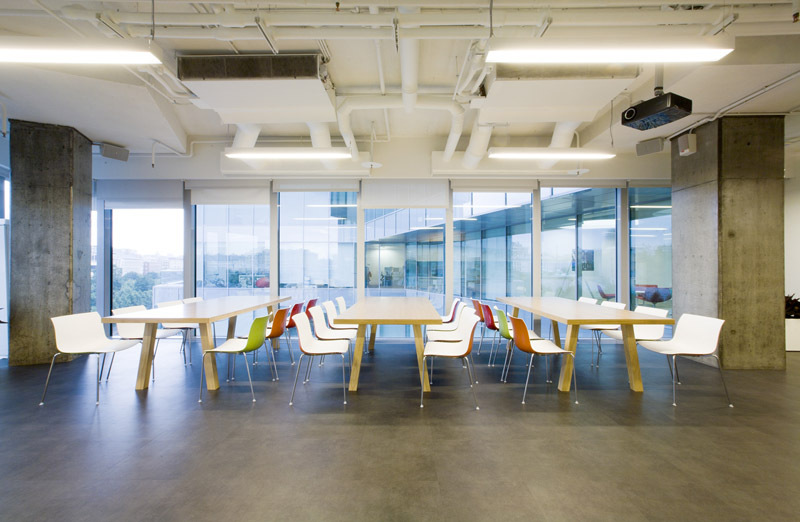 The celebrity-inspired workspace is built around a 9,000-square-foot newsroom, connecting brand and culture to its environment. 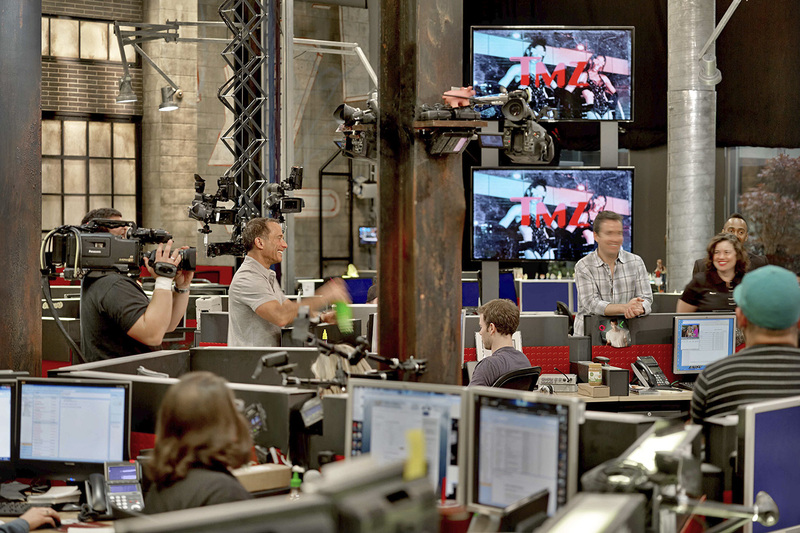 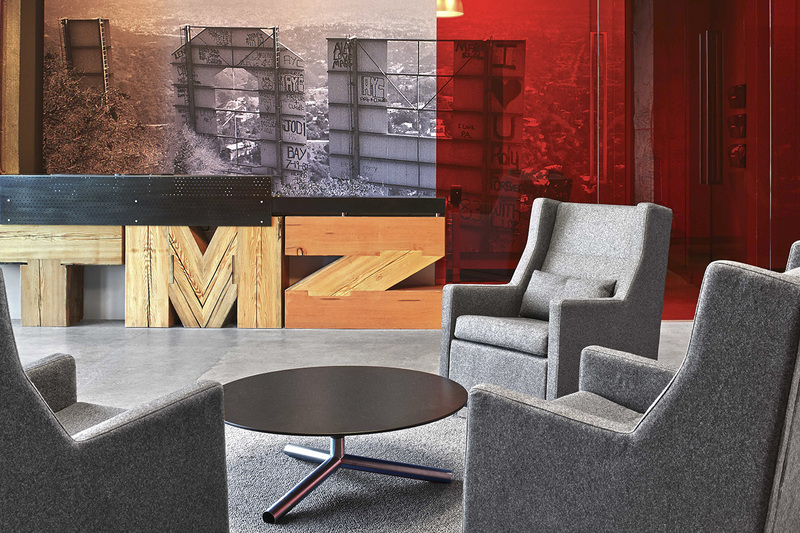 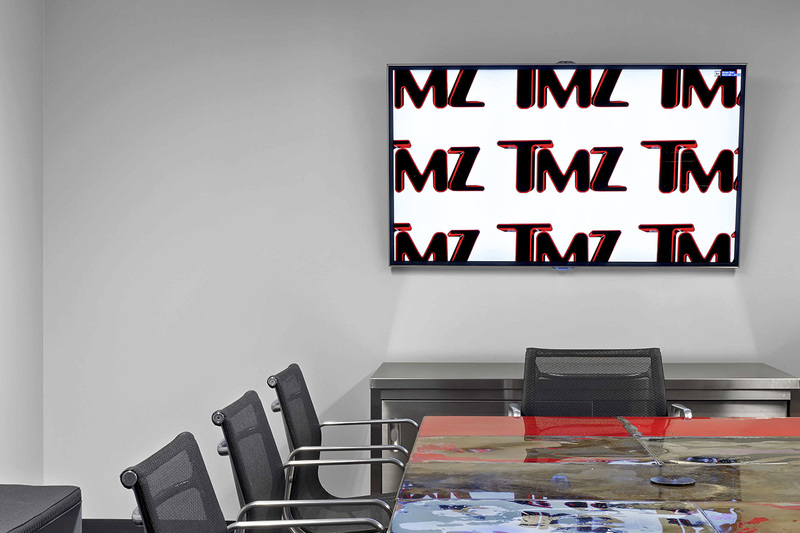 “The TMZ brand is transported into its physical space, creating a meaningful and fitting experience for employees. 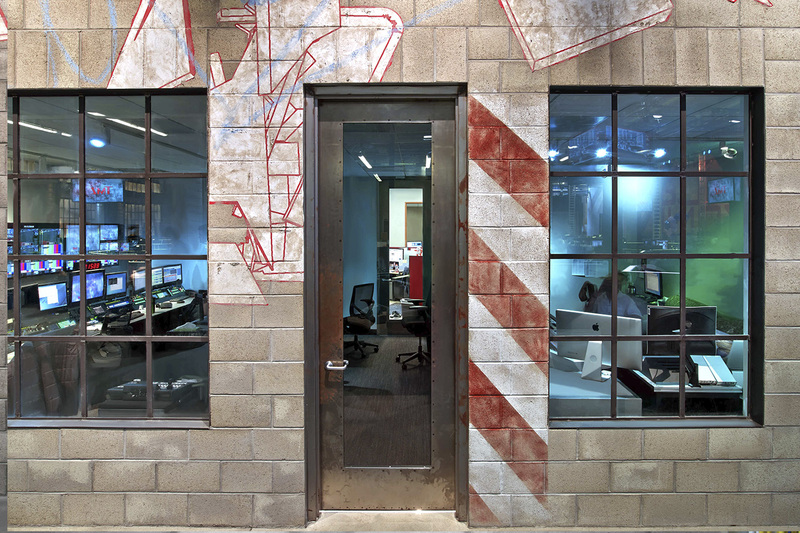 The space is meant to look like an empty warehouse. 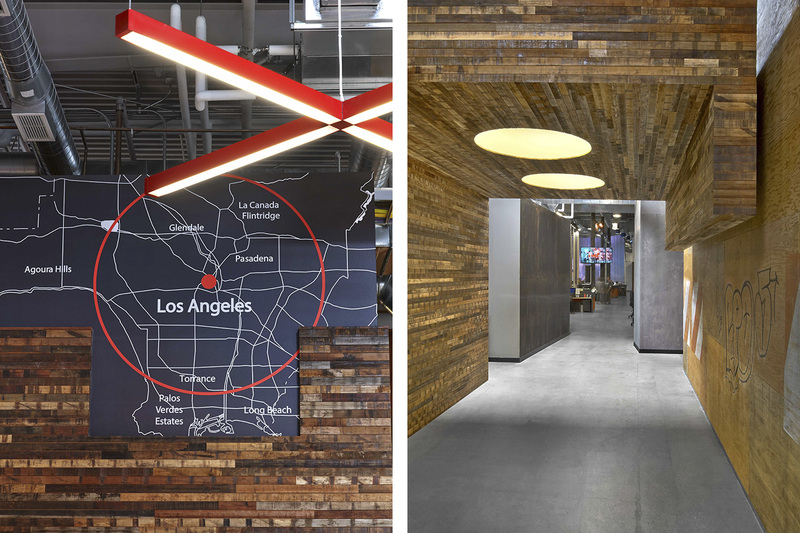 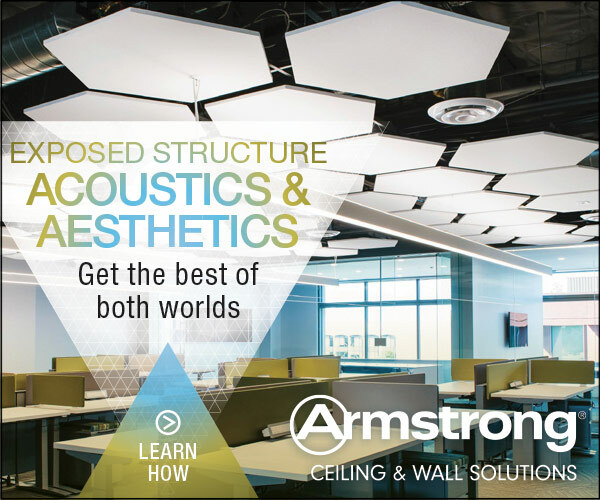 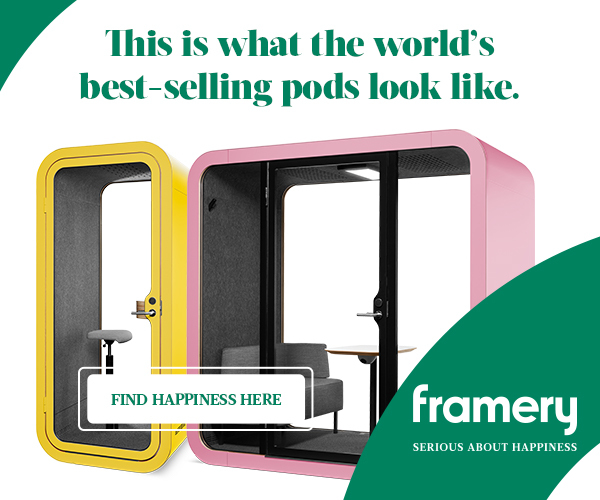 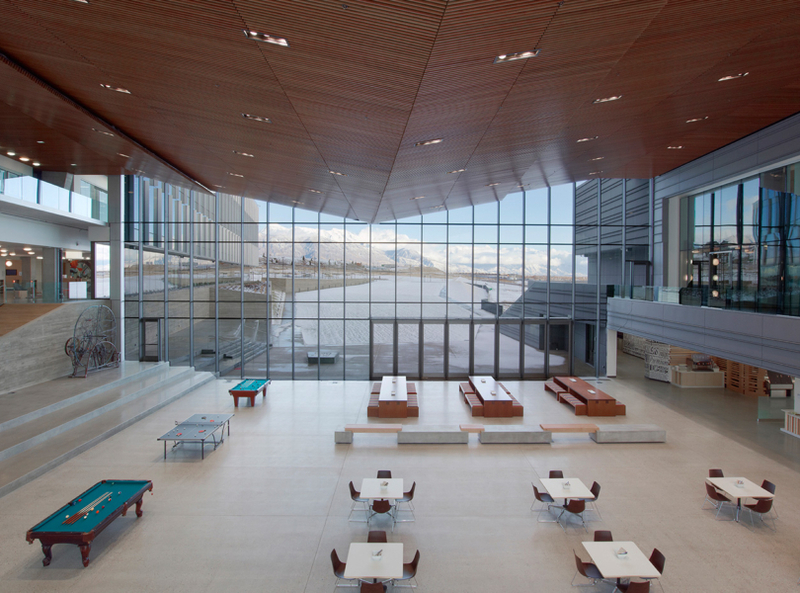 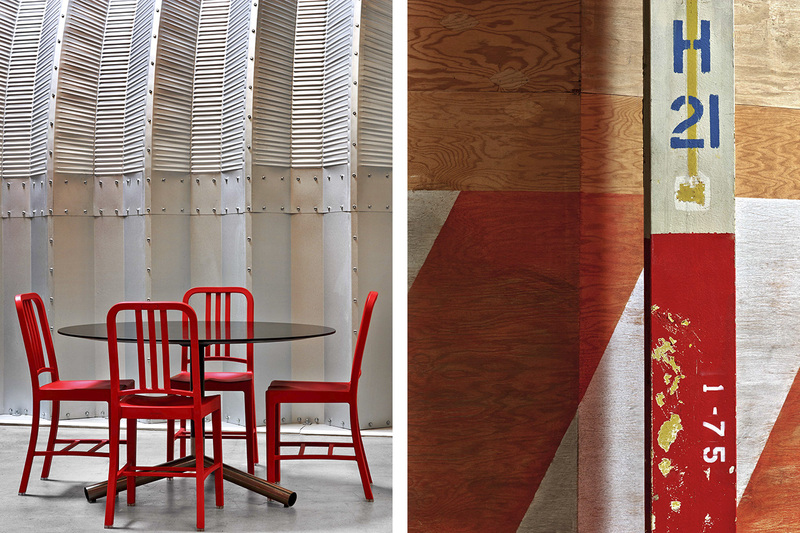 Plywood, corrugated metal, concrete walls, and other materials are used to generate that feeling. 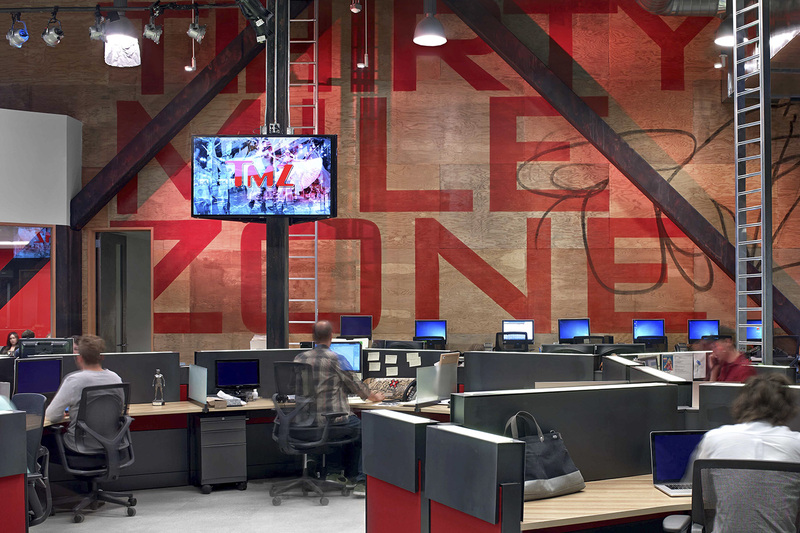 TMZ is expressed visually, using pieces like a graffitied version of the Hollywood Sign and a map of Los Angeles highlighting the thirty-mile zone (TMZ) of Hollywood studios. 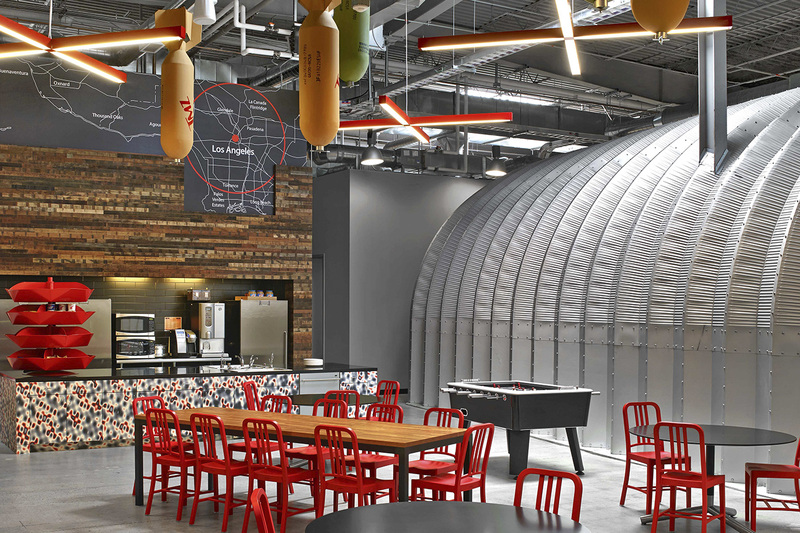 Replica bombs hang over the lunchroom in reference to the TMZ signature style of news reporting”, says Rapt Studio.